A quality web design is an integral part of marketing your brand online, as it is the first impression a customer will have of your company. You have 10 seconds to make a good impression on a potential customer. If you can't tell them what they can get from your website and company, they will leave. 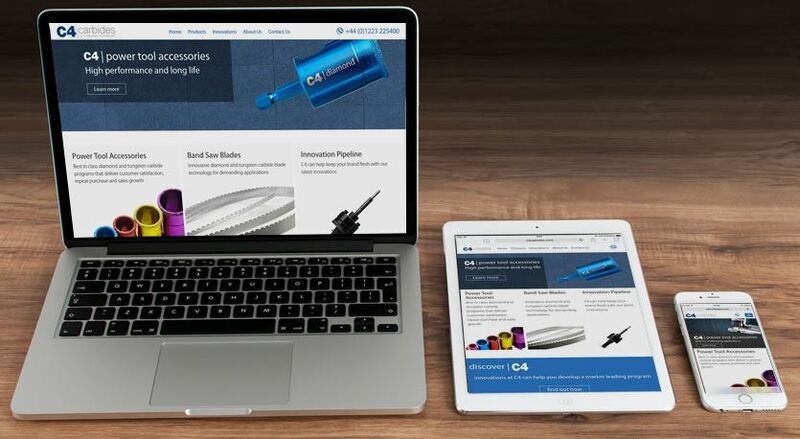 Whether you’re looking for an informational website to inform customers and generate leads or an ecommerce solution, we have the right experience and knowledge to build your perfect website. If you’re looking to redesign and redevelop your old website or bring your business online, our team is here to help you grow your business. An effective web design will ensure you make a top first impression, convey your value proposition and make it simple for people to get in touch or convert. Here at Xanthos, we focus on building websites that help businesses grow and generate leads. We start by finding out what makes your business so special and pinpointing your company and client personas to inform how the web design is developed. The team at Xanthos Digital Marketing has over 14 years of experience designing websites that increase online conversions, help capture leads and provide great user experiences. Xanthos will work with you to identify your audience’s personas, and then develop a framework and design which will work for your audience. This is a crucial step to ensure you generate a return from your investment in your new web design. 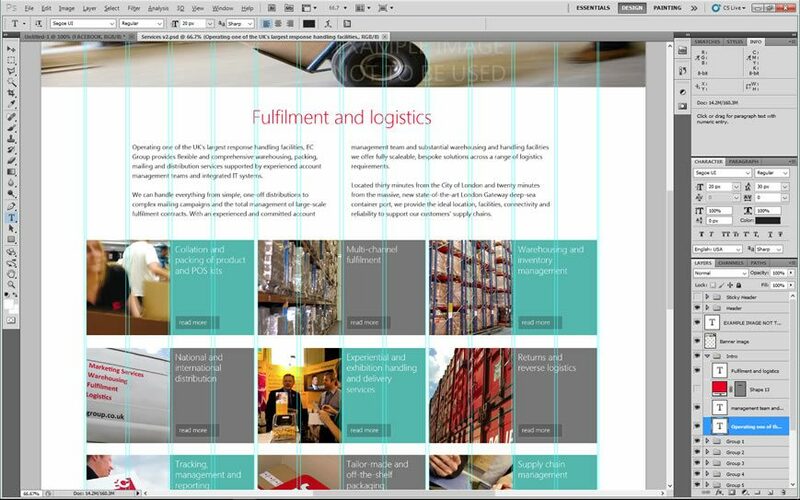 Following the identification of your client personas, we will develop wireframes for your website to map your customer experience. 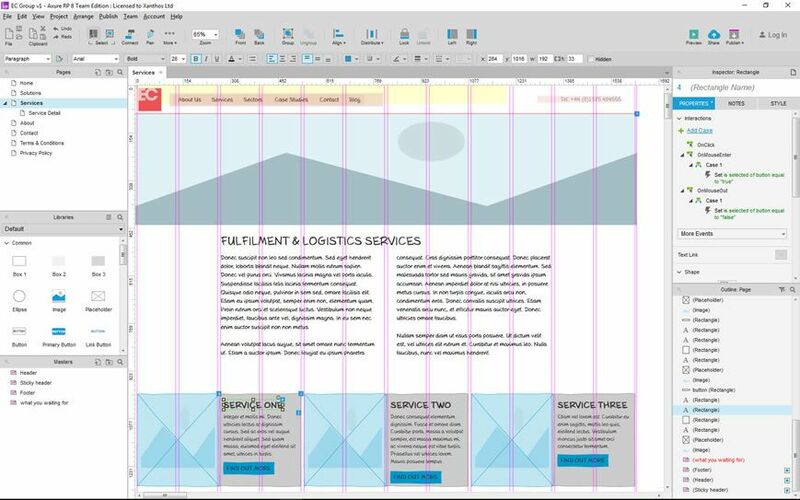 Wireframes are schematics that show how the website will work before it is designed or built. This allows you to initially focus on the user’s journey through the website before handling the design. You can see one of our wireframes on the left. For complex websites we also offer a rapid prototyping service to help you understand exactly how the site will work before design and development begin. A responsive web design adjusts to the size of the screen on which the website is being viewed, providing your customer with the optimal experience for their smartphone, tablet or PC. If your business doesn’t have a mobile-friendly website design then you could be missing out on custom from users visiting your site on their mobile or tablet. Now that mobile searching and browsing is so dominant, a simple and efficient browsing experience is what your visitors expect. 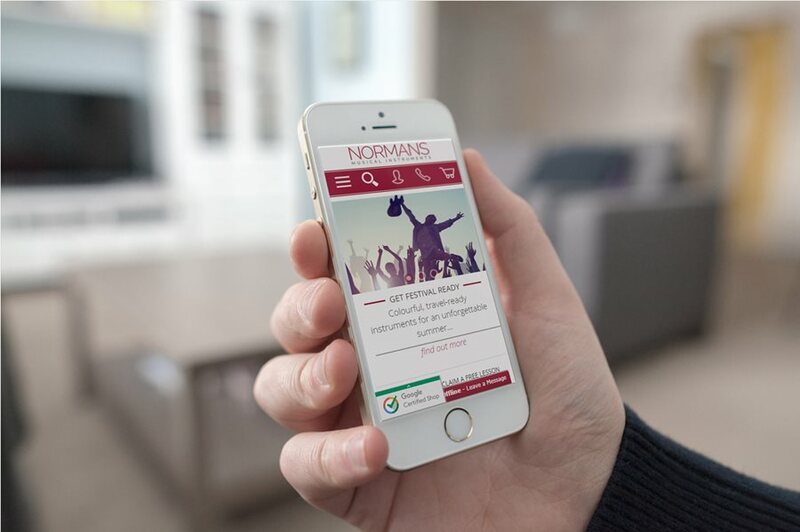 Mobile-responsive web design means that your website is optimised for viewing on tablets, mobile phones and desktop PCs. Why Choose a Mobile-Responsive Web Design? With 56% of consumers using mobile search before making a purchase and 42% of all retail sales involving a mobile device, businesses can no longer afford to ignore their mobile audience, and need to adopt a responsive website design to ensure they don’t miss out. As ​Google changed its search engine ranking algorithm in April 2015 to favour mobile-friendly websites for people searching on mobile devices, a responsive design is key to ensuring competitors don't outrank you in mobile searches. ​Mobile and tablet internet usage has officially overtaken the PC, so it's essential you cater to your customers' needs. 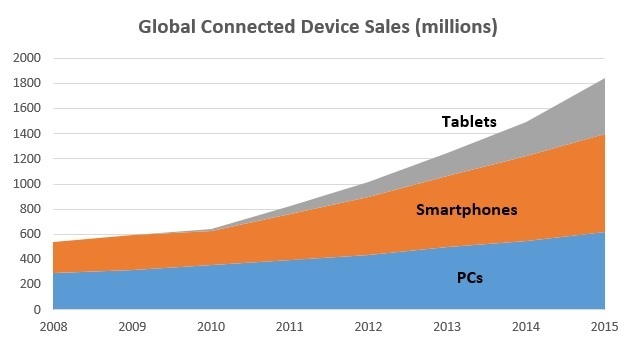 People are accessing websites across multiple devices more than ever. Research or purchases can occur on mobile, tablets and desktop devices, with each stage of the buying process unfolding across a variety of devices. If you don't have a mobile-friendly website already, then potential customers viewing your site from their mobile device may simply hit the back button and opt for a competitor’s mobile-friendly website. 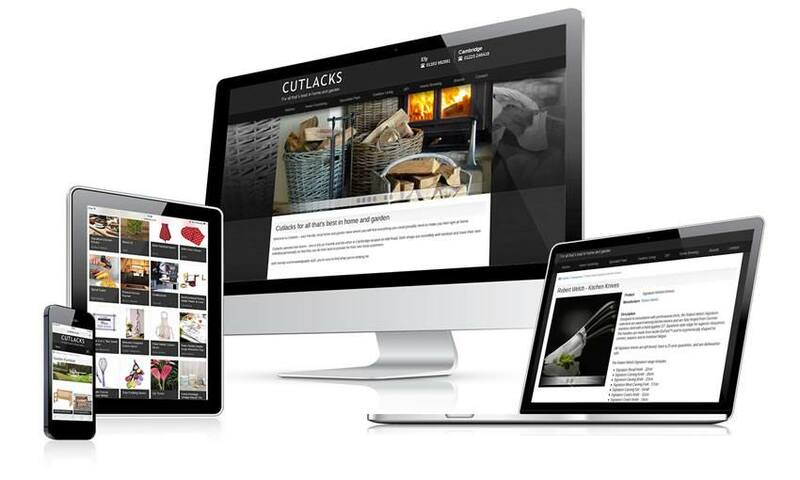 Find out how our web design services can help your business succeed online. Whatever your requirements, let us know what you need from your website, and we will be in touch.